The Kyoto Prize laureates are announced each June. The prize presentation ceremony and related events are held in Kyoto, Japan, each November. Each spring, the laureates take part in a symposium in San Diego, California. Consisting of academic honors, a gold medal and a cash gift of approximately $450,000, the Kyoto Prize is Japan's highest private award for achievement. In 1984 Kazuo Inamori, the president of the Kyocera Corporation, established the Inamori Foundation and endowed it with approximately 20 billion yen of his personal funds. The foundation began its operations the following year. The Kyoto Prize Symposium is a three-day celebration of the works of those receiving the Kyoto Prize. Thanks to a grant from the Inamori Foundation, and the many generous supporters, the symposium lectures are open to the public at no charge. The symposium provides an opportunity for an international audience to learn about the achievements of the laureates and to discuss the relationship between their accomplishments and the common quest for peace and harmony in our world. Each year, the symposium features addresses by the latest Kyoto Prize Laureates and responses by esteemed scholars in the laureates' fields. It includes representatives of business, government, independent peacemaking organizations, and academic institutions and societies. The first symposium was held at the University of San Diego in 2002. In 2005, the presentation sites were expanded to include the UC San Diego and San Diego State University. A gala celebration has been added as an opening event and forum to introduce the winners of the Kyoto Scholarships, awarded to high school students from San Diego and Tijuana, Mexico. 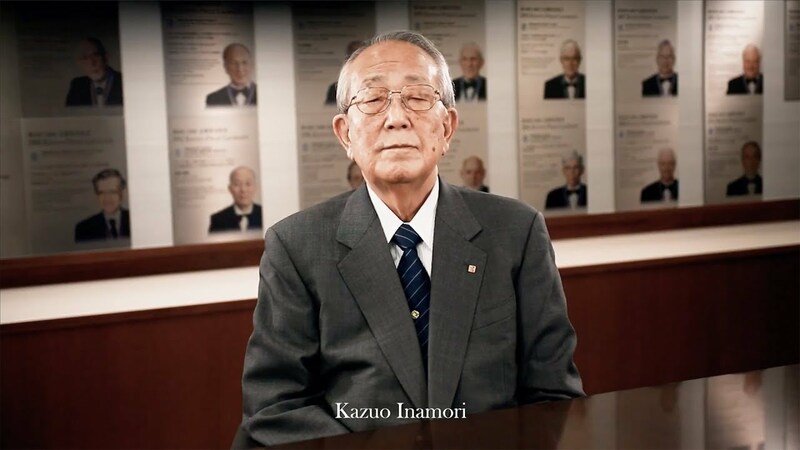 Watch President Kazuo Inamori, Founder of the Inamori Foundation and Chairman Emeritus of Kyocera Corporation, share his thoughts on the philosophy behind the Kyoto Prize. Kyoto Prize YouTube channel, October 2017.